What started as a simple promise to help has become a collection of around 350 bikes, 15 wheelchairs and 60 crutches. Providing bikes for children in need may seem like a lofty goal, but for Mary Grosswendt, junior, and peers from across the district, it was a challenge they had to accept. On Jan. 27, Grosswendt and her team of almost 20 volunteers collected new and used bicycles and bike accessories for the non-profit Wheels to Africa. The organization, founded in 2005, collects bikes and distributes them to families in Africa; and in the month of January, the first ever California fundraisers collected bikes at three different schools: Westlake High School, Viewpoint School and Newbury Park High School. 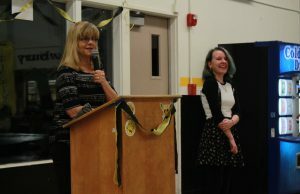 Grosswendt acted as the conduit between the other schools and NPHS, learning about the charity from a family friend and planning the collection here. 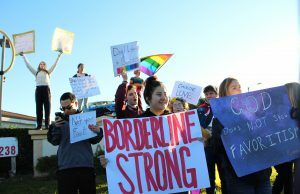 The message spread, and Isabella Steele, junior, soon picked up the cause too. “I heard about it though Mary, who asked me if I would like to help her organize the event at NPHS. I knew it was a small foundation that could use all the help they could get, and I thought the cause was great,” Steele said. Though the event had to be postponed until January, collection day was busy from the start. Volunteers got to school early for set up, and from there were busy interacting with community members who donated bikes, disassembling bikes for easier loading onto the trucks and shipping. For Steele, meeting the donors was what made the event memorable, on top of being able to give back to the global community. Community members from all over came to support, including some very special guests. “A fun thing that happened was some firefighters from the local fire station came by in their truck and dropped off a bike. We got to talk to them and share the purpose of Wheels to Africa,” Steele said. The event at NPHS was sponsored by the Hands on Earth club, and Brianna Harris, biology teacher and club advisor, also volunteered at the event, helping to dismantle the bikes. After learning more about the organization, Harris said “it was really eye opening,” to see how much these children needed the bikes, for protection, to get to school, etc. 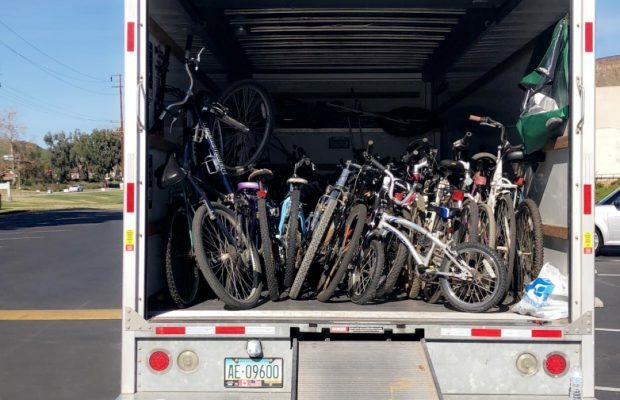 Although the Thousand Oaks bike collections are over, the bikes will not be shipped until April, so Wheels to Africa is still accepting donations of bikes, helmets, wheelchairs and crutches. The bikes can be new, used or in parts, as long as there is no rust. Contact them via their Instagram, @wheelstoafrica.ca, for more information.